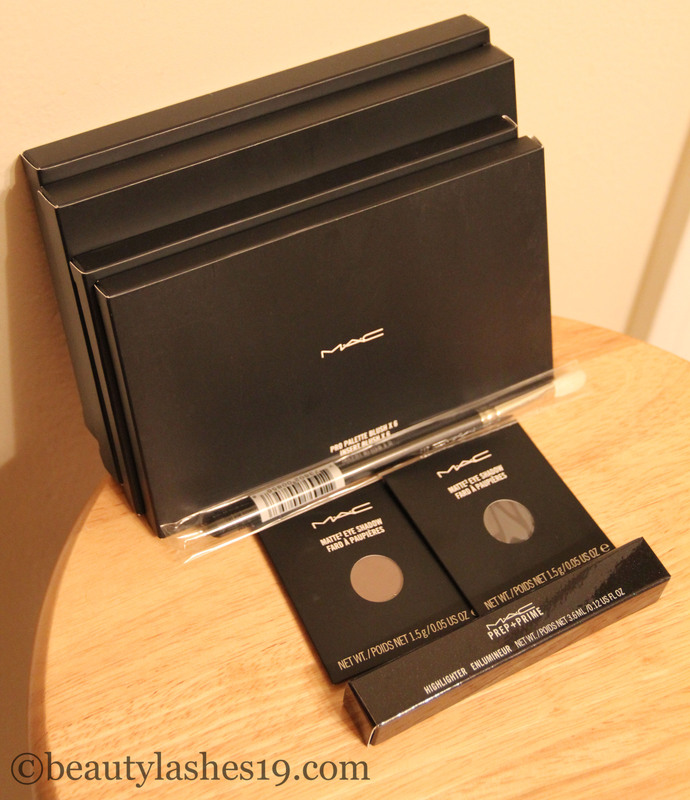 I made a trip last week to the MAC store and ended up purchasing these goodies.. Maddy was the MUA who helped me & my friend with our purchases… Maddy was extremely sweet and helped us find the right products for our need.. I had gone in to check out two eyeshadows that I had wanted for quite some time now – Typographic & Handwritten and ended up buying the MAC Pro Large palette + insert eyeshadow X15, MAC Pro Large palette + insert blush X6, Eyeshadow refill pans Typographic & Handwritten, MAC 217 eyeshadow brush and MAC Prep + Prime Highlighter in ‘Bright Forecast’.. I shall have separate posts this week & next week featuring each of these products.. Can’t wait to share my thoughts on these… 🙂 I hope you enjoy the rest of the week..